I recently finished reading What She Knew by Gilly MacMillan which was on my list of Summer reads. Basic synopsis is that, Rachel, a recently divorced mom, lets her son, Ben, run ahead of her in a park. She does this in an attempt to foster his independence, but he disappears. Subsequent chapters detail the investigation into his disappearance. I won't tell you how it ends, but I will tell you that this sort of scenario is one of a parent's greatest fears. While parenting is full of joy and laughter, it is also weighted down with responsibility, doubt, and worry. While I was reading about Rachel's fictional experience, I started thinking about my own fears in parenting and, I'm betting, other parents share many of these same anxieties. Of course, the first one on the list is the one that triggered this whole post - the fear of losing a child. When my oldest was in first grade, I accompanied her class on a field trip to the zoo and took my middle child, then three, along for the fun. We were at the polar bear exhibit, the children pressed against the glass thrilling at the bear as he dove and flipped under the water. I was chatting with another mom less than 6 feet away from the kids when another, large group of kids came into the area. Before I knew it, I had lost sight of my three year old. Only another parent can understand the sense of panic that gripped me. I was frantic, calling out her name like deranged animal. She quickly emerged from the crowd perfectly safe. She had been there the whole time and only realized she was "lost" when she heard the fear in my voice. The entire thing probably lasted about 30 seconds, but I still feel the hysteria when I recall it. I cannot even imagine the horror of not knowing where my child is for days at a time; not knowing of their well-being; not knowing if I will ever hold them in my arms again. My heart races just typing the words. Even worse, the death of a child due to accident, illness, or other circumstances is completely unfathomable to me. My heart and prayers go out to any parent who has ever had to experience such pain. We also have great fear of permanently screwing up our kids! I honestly believe it's why we argue so much about parenting strategies and why we are so judgmental of others. Breast vs. bottle; co-sleeping vs. sleep training; helicopter parenting vs. free range style; all organic vs. please just eat something - it all boils dow to FEAR! We don't want to be the reason our kids' physical, mental, or emotional health is irrevocably damaged and that fear leaves us feeling stressed, judged, and judgmental. The thing that makes this one extra scary is that we won't know if we "got it right" until we see the finished product and, by then, it will be way too late to modify our decisions!! YIKES!! I think we also fear that we are not giving our kids enough - enough experiences, enough quality time, enough nutrition, enough stuff, enough guidance, enough freedom, and the list goes on and on. We seem to think that raising kids is like mixing up the perfect recipe - just the right amount of this and exactly the right measure of that. However, I am convinced that parenting is NOT an exact science, but without having a precise answer, it is difficult to measure our progress toward success. As a parent of tweens and teens, I have a huge fear of social media. I recently saw a video online in which young girls are easily talked into meeting a guy in person even though they really have no idea who he is. Of course, the parents are certain their daughters would not be so gullible and, when they learn otherwise, they are shocked, angry, and terrified. Here, see for yourself . . . . I consider myself to be pretty social media savvy - but, I am also savvy enough to know that my kids have far more knowledge than I ever will. We have rules about their devices and social media accounts. We check them regularly, too. However, if they wanted to hide something from me I'm certain they could. Personally, I think admitting that "out loud" is a step in the right direction, but also makes it even more alarming. Last on my list is our fear of things we cannot control. The harsh reality is that we live in a world where there are natural disasters, germs and sickness, and evil people. Even if we do somehow mange to get this parenting thing 100% right 100% of the time, there are things that are simply beyond our control. Sometimes, we wish we could put our kids in a bubble or at least be with them every second to protect them, but we know that is just not possible. 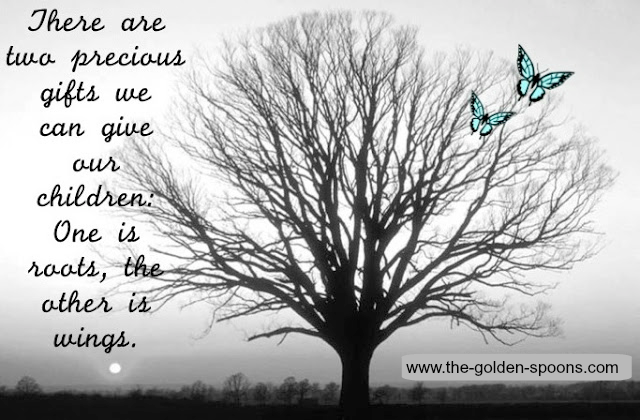 So, the best we can do is teach them, love them, say lots of prayers, and hope that we have given them strong enough roots to keep them grounded when they spared their wings. 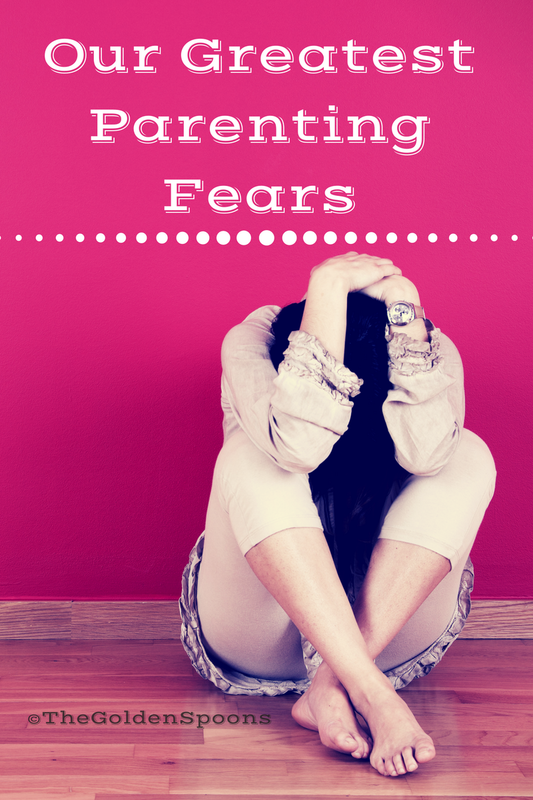 What are your greatest parenting fears and how do you cope with them? Linking up with Finish the Sentence Friday and Kristi at Finding Ninee. I have this book on my list to read and definitely sounds like the book, as well as the ending is worth making sure I do read this one soon. As for the fears, I have had these and more often enough as a parent, too. I wasn't sure if I would like the book because I knew the plot would be hard to swallow, but it was good. This is so timely, Lisa - I have to submit a piece to a publication I write for, and I'm thinking of reworking a post I wrote years ago about my greatest fears as a parent. They haven't changed too much over the past five years, and I didn't even think about social media! But the biggest one for me is the things I can't control...I don't know if we ever lose that fear. I don't think we ever do lose that one. If anything, it gets worse becasue, as they get older, there is less & less that we control.